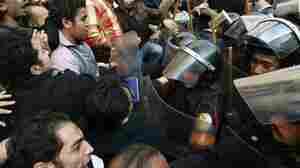 January 29, 2011  Protesters have been demanding that Mubarak step down. The U.S. hasn't endorsed those calls. Should it? 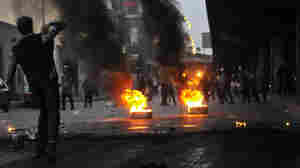 January 29, 2011  Will soldiers respond with force if protests grow violent again? For now, demonstrators are welcoming the Army's presence. January 29, 2011  Crowds have gathered again in major cities. It's clear that protesters weren't satisfied with President Hosni Mubarak's plan to dissolve his Cabinet. They want him to step down. January 28, 2011  Police are using rubber bullets and tear gas to try to disperse protesters. 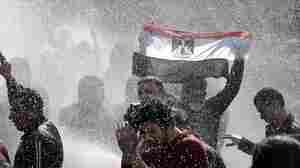 January 27, 2011  Protests continue in major cities as demonstrators push for President Hosni Mubarak to cede power. January 26, 2011  Clashes have been reported in Cairo and Suez. About 500 people have reportedly been arrested. 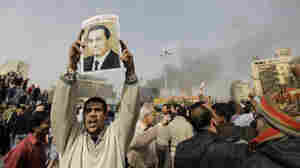 Many of the protesters want President Hosni Mubarak to step down. 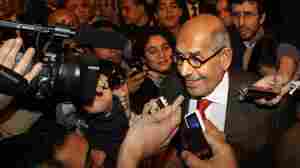 January 26, 2011  Egyptian authorities vow to bring an end to protests.